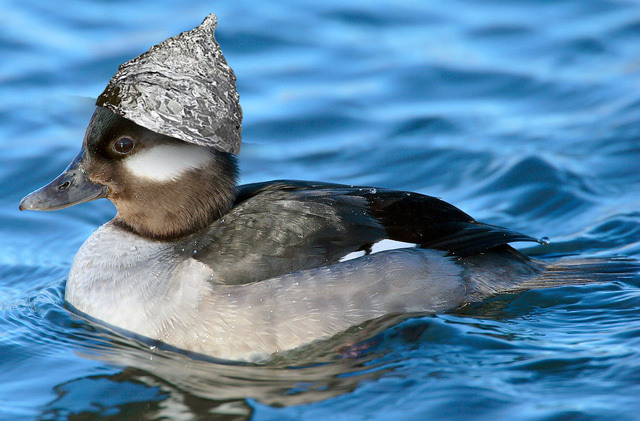 Cocoa Beach: If It’s Such A Great Idea…..Part 4 – The Duck Version. Aug 19, 2018 Posted by AAfterwit on Aug 19, 2018 | Comments Off on Cocoa Beach: Dogs On The Beach. At Least It’s Not Cows On The Beach. Cocoa Beach: Dogs On The Beach. At Least It’s Not Cows On The Beach. 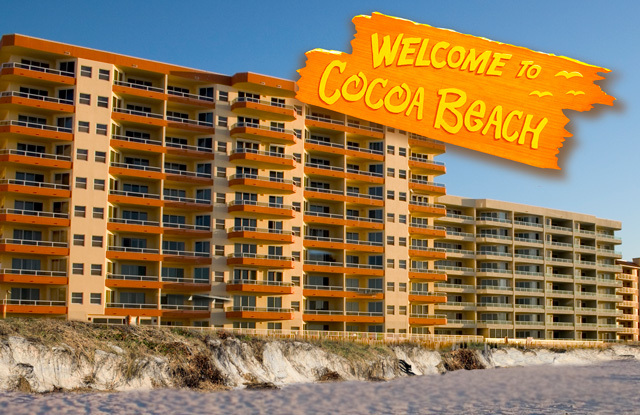 In case you missed it, earlier this year the City of Cocoa Beach decided to allow dogs on the beach as a trial basis. The move was not without controversy and we certainly hope that the dog owners who pushed for this will act in a responsible manner. For those who think this was a bad move, we offer that it could have been worse. Much worse. 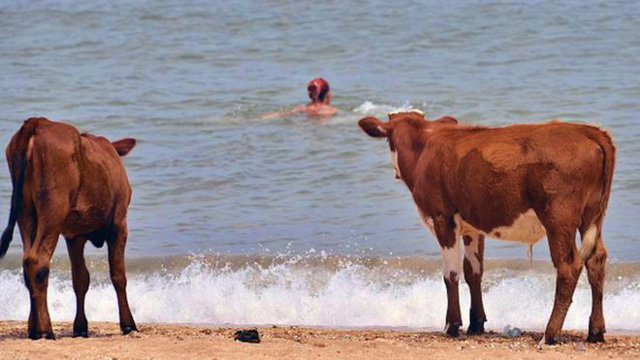 The City could have voted to allow cows on the beach. Cocoa Beach: Commission Meeting Tonight. Just a small reminder that tonight there is a regular Commission meeting for the City of Cocoa Beach starting at 7:00 PM. There doesn’t seem to be anything on the agenda that we would label “controversial,” but that is our opinion. There are only two items in the “new business” part of the meeting and both are final votes for approving the final language on ballot questions for the November elections. The first question is the height issue, and the second question is the correction to the charter to correct some alleged errors. These two questions have been discussed and beaten to death and as this is the second reading of two for both, we don’t expect much discussion and debate. However, this is also your last chance to comment on the language of these two ballot measures, so if you want to make your feelings known or this or on any other issue, you should head on up to the meeting and speak. Be a part of the process and the solution. Jul 30, 2018 Posted by AAfterwit on Jul 30, 2018 | Comments Off on Looking Back. We actually found this picture for sale on a site, but thought it was so interesting and cool that we wanted to post it. 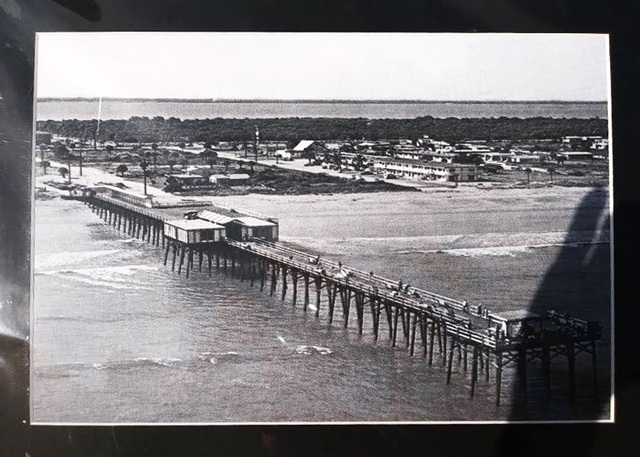 It is the Cocoa Beach Pier circa 1972. Hard to recognize the place, isn’t it? 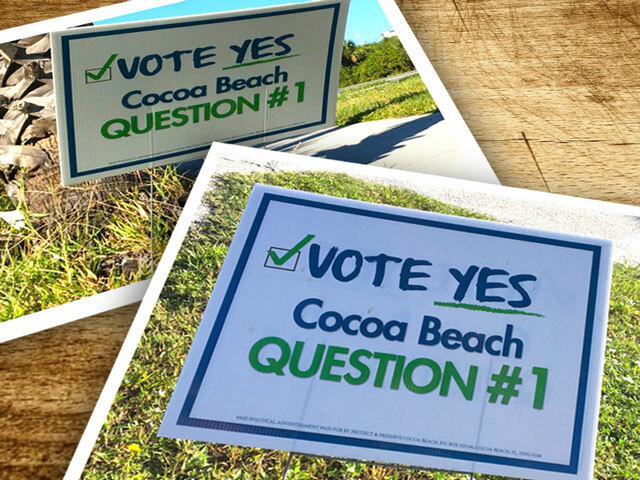 Cocoa Beach: City Commission Tonight – Final Vote On Ballot Language For Height. Tonight the Cocoa Beach City Commission meets starting at 6:00 PM for a CRA meeting followed by a 7 PM regular Commission meeting. The agenda for both meetings can be found here. For a warm July evening, this meeting has a couple of things that will affect the citizens of Cocoa Beach. First is an item that will confirm meetings to establish the millage rate for the upcoming year. The dates for those meetings would be September 5, 2018 (Wednesday) at 6:00 PM, to set the tentative millage and tentative budget, and September 20, 2018 (Thursday) at 7:00 PM. The could be considered a “save the date” vote. 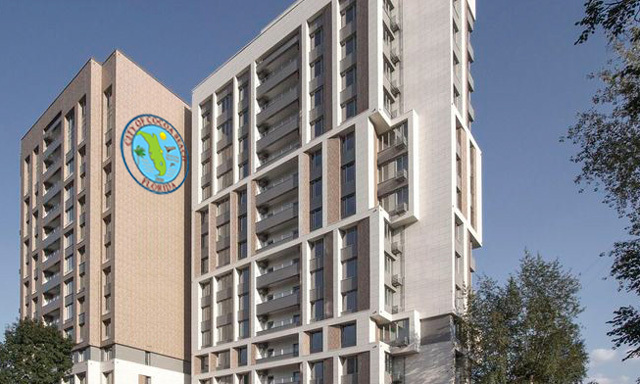 A second item of interest is to finalize the languages as to what would appear on the ballot this year in regards to height limitations within the City. Cocoa Beach: Dave Netterstrom -Deja Vu All Over Again. Dave Netterstrom has quit before the end of his commitment. 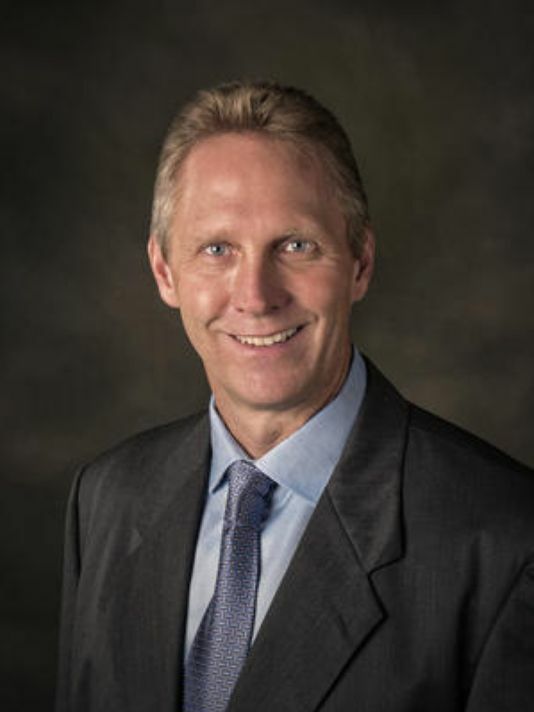 In April of 2018, Netterstrom announced he was running for the Cape Canaveral Port Authority commissioner in District 5. Now, less than 2 months later, Netterstrom has left the race. The race for Canaveral Port Authority commissioner in District 5 has a new twist, as a third Republican candidate dropped out of the campaign. 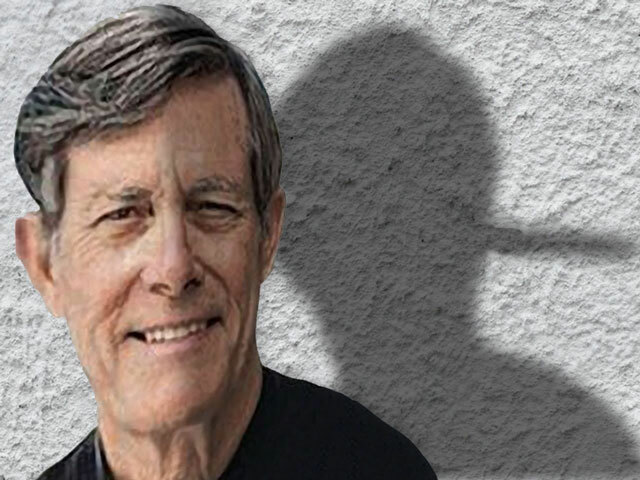 Former Cocoa Beach Mayor Dave Netterstrom withdrew from the race, saying his heart is just not in it to campaign for the seat. That leaves three Republicans and one Democrat seeking the seat now held by Tom Weinberg, who is not seeking re-election. 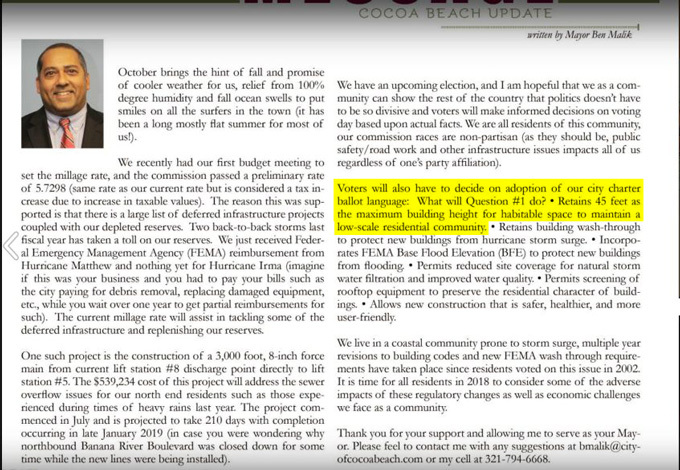 In November of 2015, Netterstrom resigned as Mayor of the City of Cocoa Beach effective December 31, 2015. All good things must end and unfortunately that time has come. I must stop playing and get back to work. At the end of the year, I will resign my position as Mayor (a job highly recommend) so I can clear my mind and focus on new opportunities. As many of you are aware, I’ve been purchasing distressed properties and flipping them to new owners. As the economy gets better, my business model is changing (bad for me, great for everyone else) and 2016 will be an exciting transition time for me.